In this post, we are going to show to how to transfer SEO settings in WordPress. First thing to do is install and activate the SEO Data Transporter plugin and during activation, you need to visit Tools > SEO Data Transport to transfer SEO settings. On the SEO data transporter page, it has two drop down menus. The first one is to choose the platform you are transferring from and second is to choose the platform you are transferring to. Assuming that you transferring from Yoast SEO plugin to All In One SEO pack. You would select WordPress SEO in the from field and select All in One SEO Pack in the moving field. Click on the analyse button to see what records and element are compatible between the two platforms. The plugin will analyse your SEO data and will show the results. Then now, click on the ‘Convert’ button to initiate the transfer. If the transfer is done, you can uninstall your old SEO plugin or theme and delete the SEO transporter plugin. There are more other ways to transport SEO settings, check out the ways at Changing Themes? 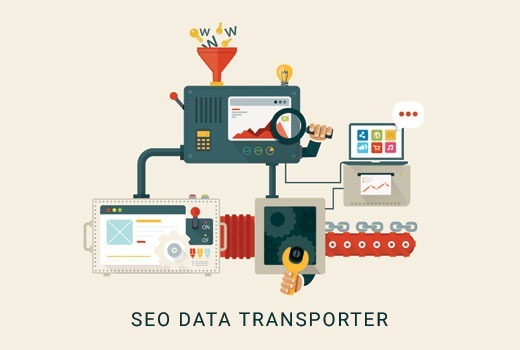 Transfer SEO Settings with SEO Data Transporter.